100 Stories for Haiti is a unique collection of stories bound together by paper and glue and massive amounts of hope. This is no ordinary book. One morning a writer woke up and decided, “I must do something.” Hundreds of talented authors worldwide sent him their stories. Proceeds go to helping the victims of the Haiti earthquake. So open this book and pick a page. If you find one story, one page, one line entertaining: buy it. 100 Stories for Haiti includes my story Impact. 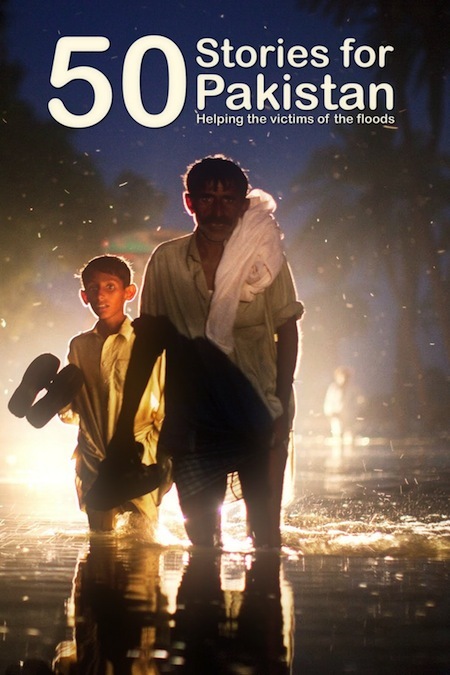 50 Stories for Pakistan was created to help the victims of the Pakistan floods. I was fortunate enough to be able to help in the selection and editing of this collection of quality stories from established and emerging authors. The introduction was written by award-winning author, Vanessa Gebbie and the fiftystories within its pages were chosen for their optimism and life-affirming spirit. It is available here. My story The Man Who Devoured Novels is included in additional Editors’ stories section of the collection.